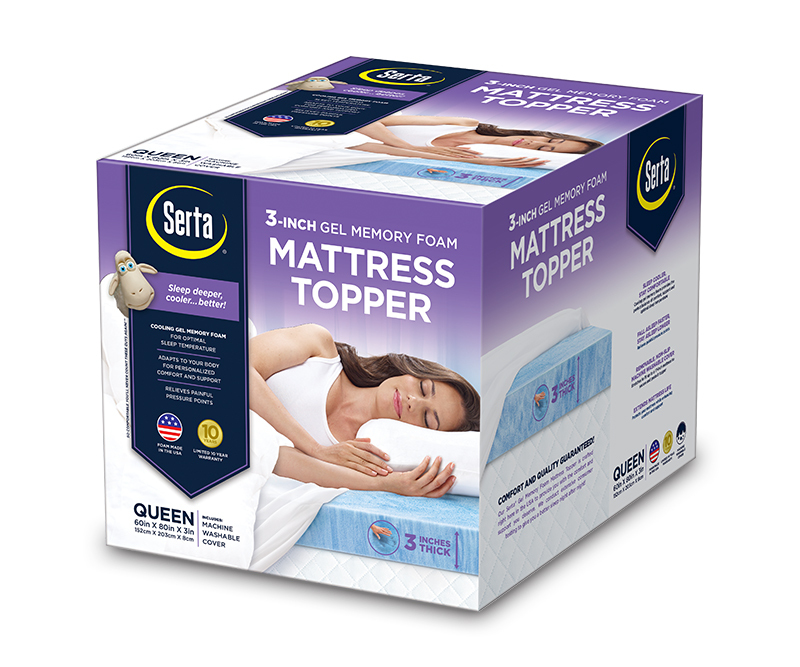 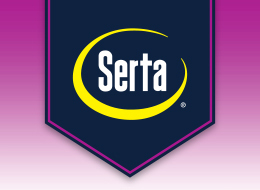 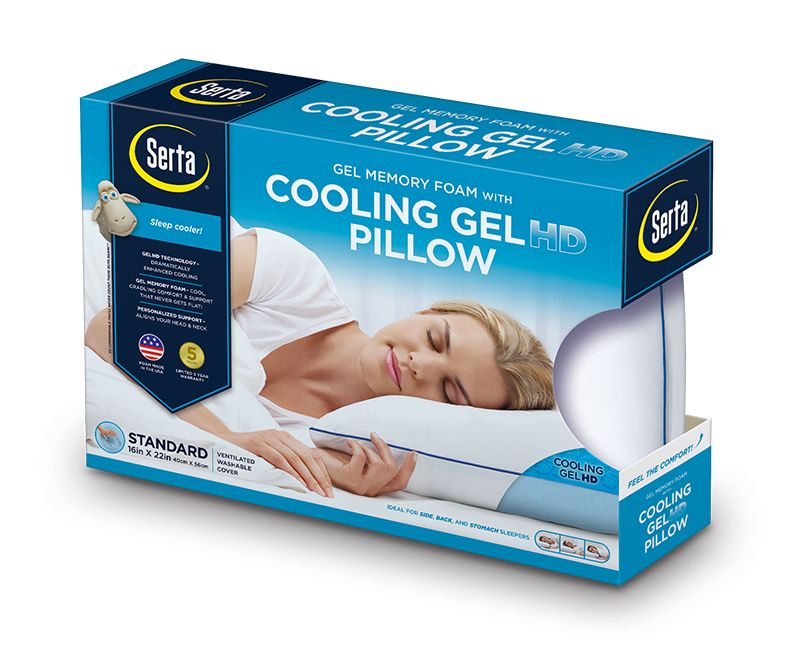 Serta® Packaging Redesign – Zucconi Idea Agency, Inc. It's a challenge to redesign a package, especially in a venue as noisy and crowded as the bedding category. 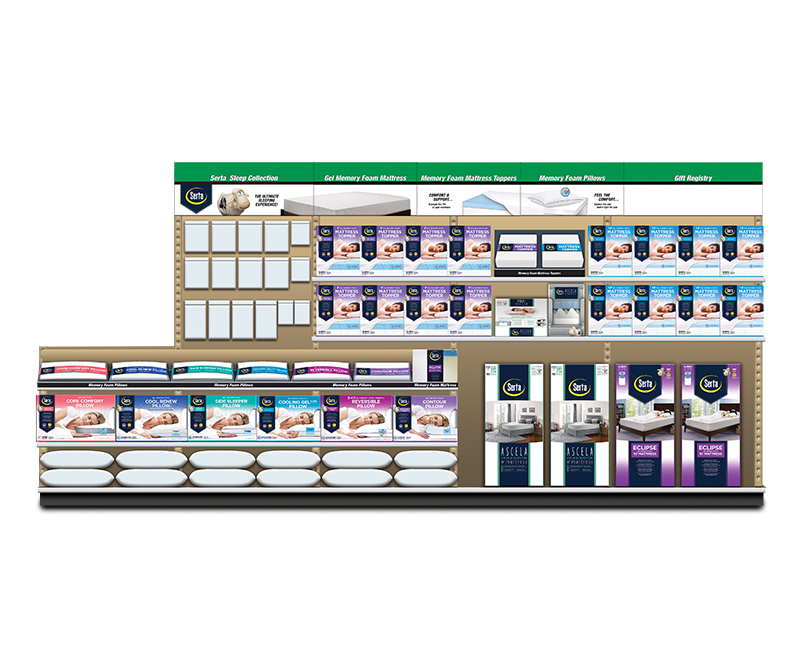 It's a whole different kind of challenge to redesign an entire aisle's worth of packaging. That's what we did for Innocor®, helping the company to relaunch its complete Serta®-branded bedding line at retail giant Menards. The result is a contemporary new look and a significantly enhanced on-shelf presence.